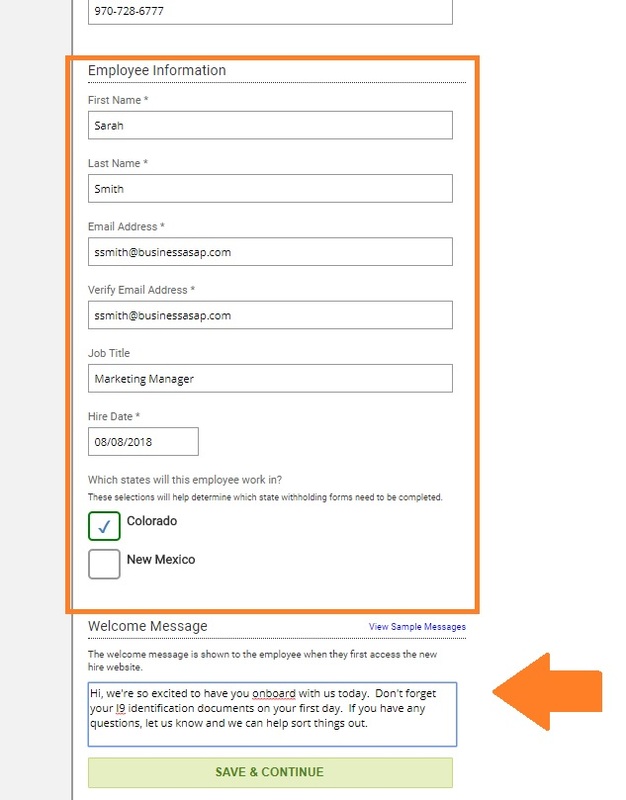 Input the employee information for the new hire as known & type up a quick welcome message for the email that goes out to them. 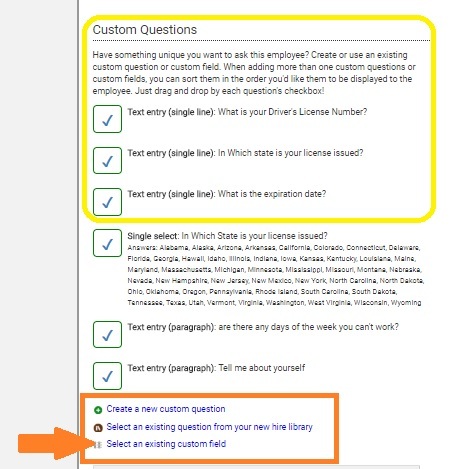 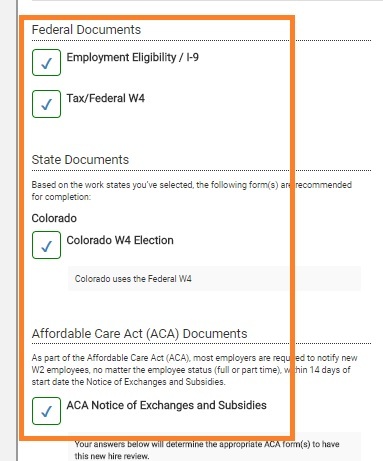 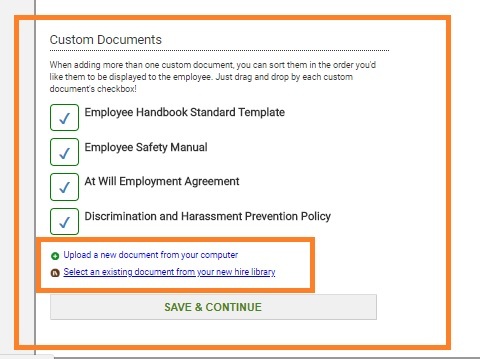 Each company can set their "default" custom documents to be completed during onboarding under "maintain new hire documents". 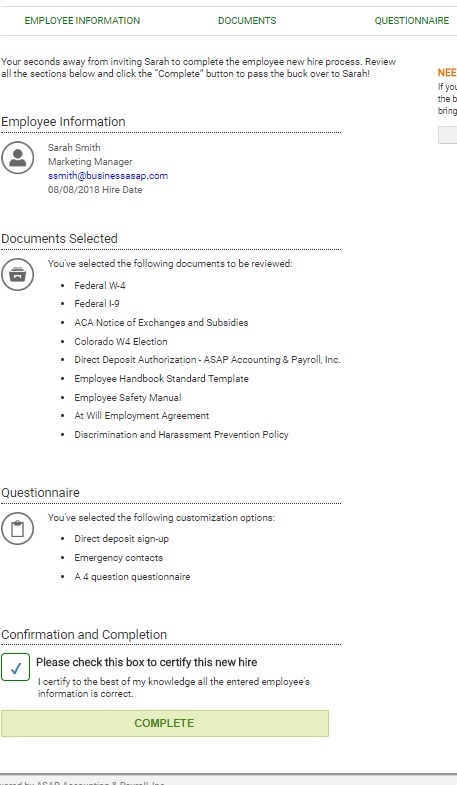 In addition, if you have a custom document to add in addition from the library or from your PC, you can load them here. 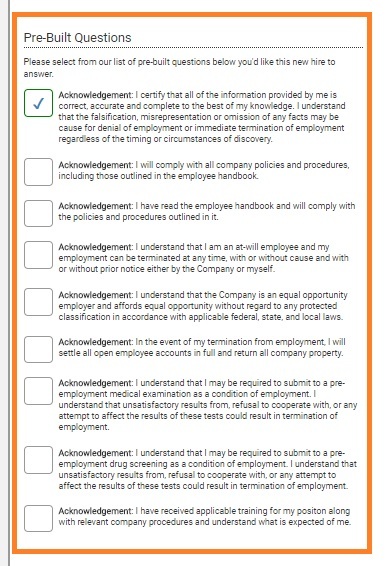 Select any pre-built HR Acknowledgements you may wish to use; these were developed by HR pro's and could be helpful. 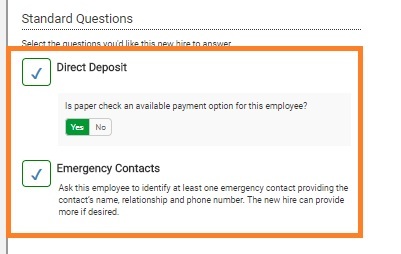 Review what you selected before confirming; once confirmed an email will be sent to the new hire asking them to complete the next step of onboarding.